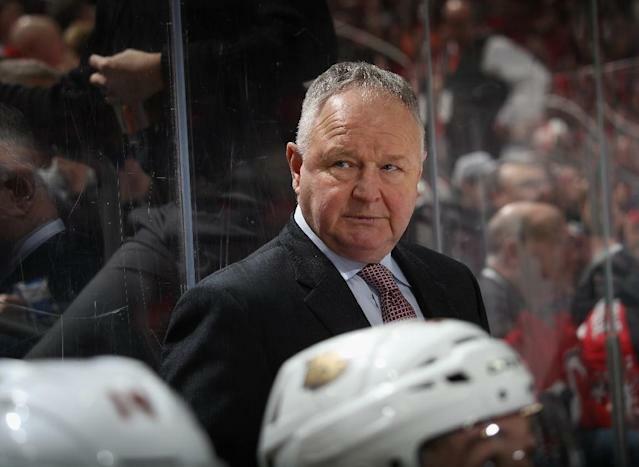 Los Angeles (AFP) - Randy Carlyle was fired on Sunday as coach of the National Hockey League's Anaheim Ducks with club general manager Bob Murray to serve as interim coach for the remainder of the season. A seven-game losing streak and the worst record in the Western Conference with only 21 wins and 51 points from 56 games proved too much for Carlyle to keep his job. "Difficult decisions need to be made when times are tough and our play has clearly been unacceptable," Murray said. "We have a tradition of success in Anaheim and we need to get back to that." The 62-year-old Canadian, who played 17 NHL seasons from 1976 to 1993, coached the Ducks to the Stanley Cup in 2007 in the second season of his first stint as Anaheim coach, which ended with his firing early in the 2011-12 campaign. Carlyle took over as coach at Toronto later that same season before being fired in the 2014-15 campaign and rejoining Anaheim in 2016, guiding the club to the 2017 Western Conference finals. In all, his teams reached the playoffs in eight of the 10 full seasons he coached. "We thank Randy for everything he has done for the organization," Murray said. "Leading the team to a Stanley Cup and three conference final appearances, he has accomplished so much in Anaheim." Carlyle is the only person in NHL history to play 1,000 games and coach 900 games, playing 1,055 and coaching 924. His career coaching record is 475-334 with 115 over-time defeats. Murray, the 2014 NHL General Manager of the Year, has a 509-374-130 record in 1,013 NHL games as general manager for Anaheim and Chicago. His Ducks teams have reached the playoffs for the past six seasons. As a player, Murray appeared in 1,008 NHL games with Chicago, scoring 132 career goals for the Blackhawks.